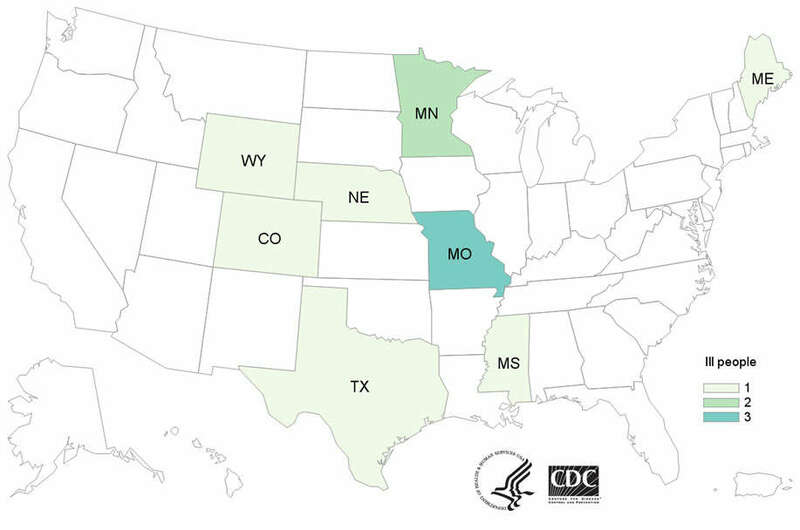 Health officials are investigating a multistate Salmonella outbreak linked to pet hedgehogs with at least 11 cases reported in eight states, resulting in one hospitalization. Their advice? Quit kissing your prickly pets. “Don’t kiss or snuggle hedgehogs, because this can spread Salmonella germs to your face and mouth and make you sick,” said the Centers for Disease Control and Prevention (CDC). Between October and December of last year, 10 of those who had become ill with the outbreak strain Salmonella Typhimurium confirmed they had recently been in contact with a hedgehog. It is unlikely all the animals came from one supplier as those infected say their pets were bought from various places, including pet stores, breeders, and online sources. “Regardless of where hedgehogs are purchased, these animals can carry Salmonella germs that can make people sick. Hedgehog owners should always follow steps to stay healthy around their pet,” wrote the CDC. Hedgehogs – along with pet rodents and reptiles – carry Salmonella, a group of bacteria that causes diarrheal illness in people, which can spread from animal feces to people, habitats, toys, bedding, and anything else the creature came into contact with. Many animals that carry the germ do not appear to be sick. When a human becomes infected, however, they can experience fever and stomach cramps within three days of being exposed to the bacteria, usually lasting for as long as a week. Most people recover, but in some cases, diarrhea can become so severe that patients need to be hospitalized as the bacteria spreads from the intestines into the bloodstream and other places in the body. Especially at risk are children younger than five and adults over 65, as well as those with compromised immune systems. The CDC offers a host of information on protecting you and your family against potential infections caused by the family pet. After playing with your prickly friend, the CDC advises pet owners to wash their hands thoroughly with soap and water.